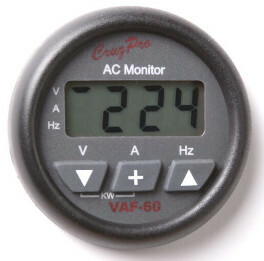 CruzPro digital 55 mm AC system monitor. 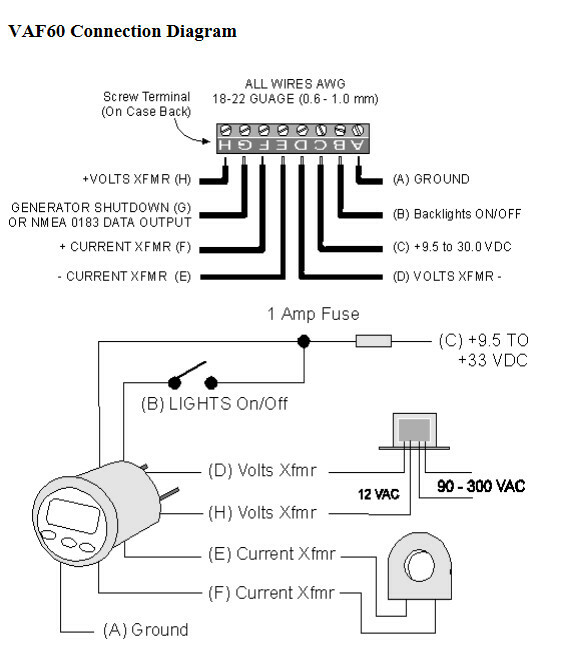 Monitors voltage, current and frequency. Supplied with CT and input voltage transformer. Has built in alarm functions. ROUND BEZEL. This ASCII information can be used to log performance or repeat the display information at a remote location	on the matching CruzPro RP60 and/or RP110 data repeaters. If NMEA 0183 serial data is not required, then the output terminal can be programmed as an external alarm output pin or generator cut-out control.